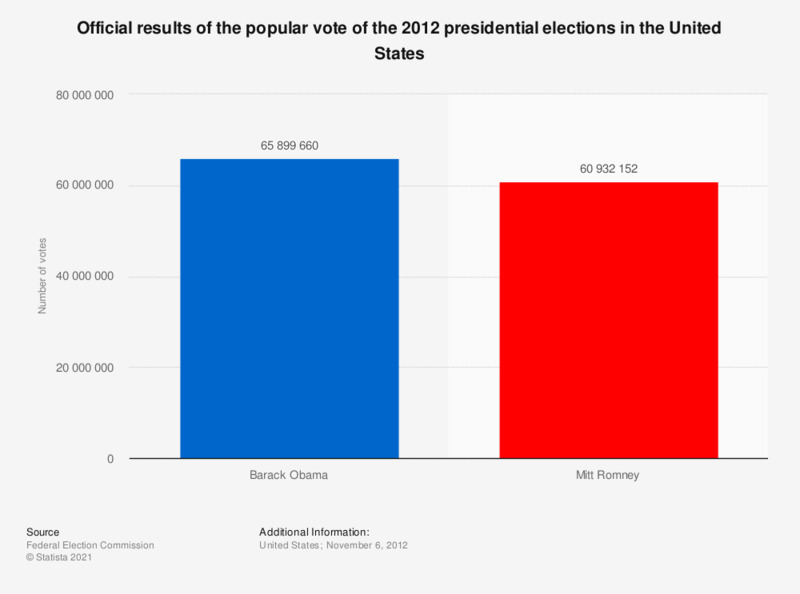 This graph shows the official results of the popular vote of the 2012 presidential elections in the United States. President Obama has won the election with about 65.9 million votes from the population. His opponent Mitt Romney could gather about 60.9 million votes.